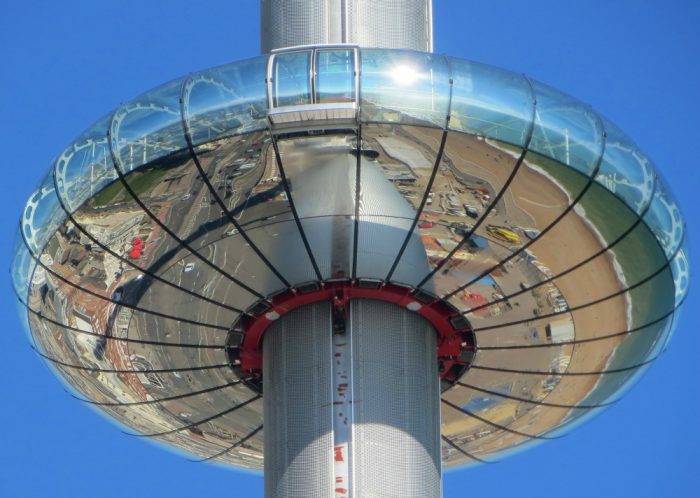 Last week our colleagues Caroline and Hitesh went to try out the brand new British Airways i360, the incredible moving viewing platform that has just opened on Brighton seafront. 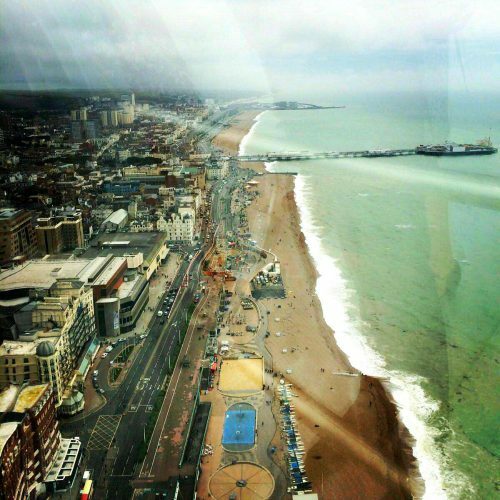 The i360 has been designed by the same team that brought us The London Eye and it is the tallest moving observation tower in the world. 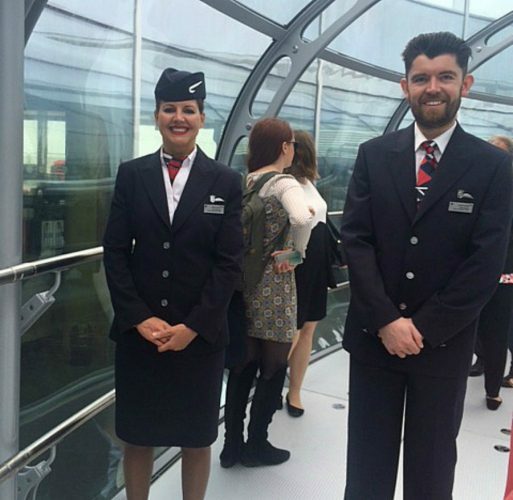 Let’s hear from Caroline what she thought..
“When we arrived at the British Airways i360, we were amazed to be greeted by actual BA flight attendants in full uniform! 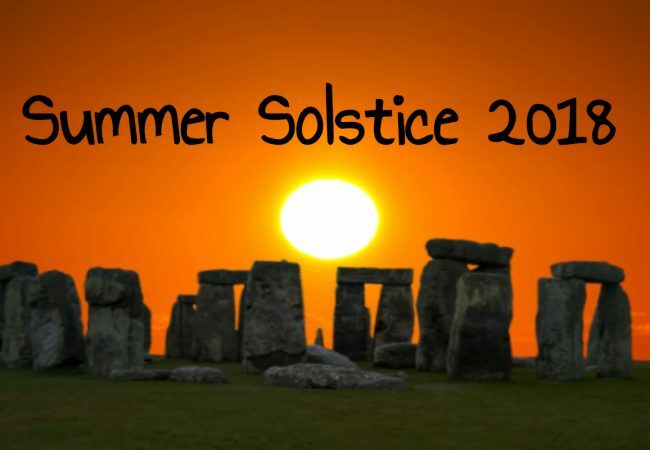 It was such a nice touch and really got us excited for what was to come. The pod itself is really futuristic and, as it was designed by the same people as The London Eye, I definitely noticed the similarities. 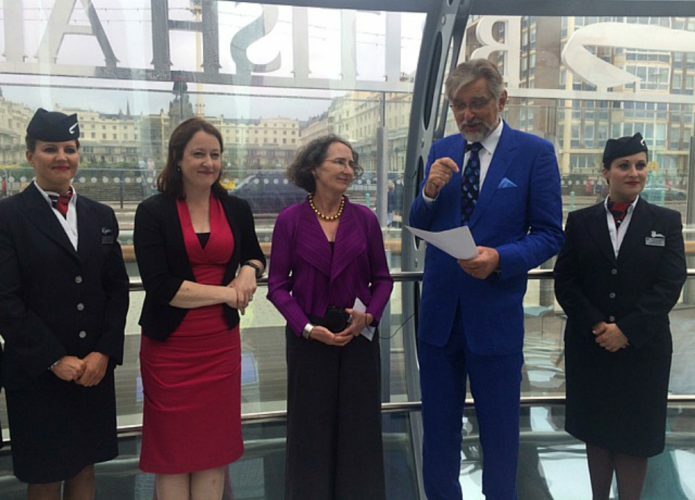 We were lucky enough to be there at the launch, so the designers from architects Marks Barfield were actually there! It was a massive privilege to be there when their creation came to life. Heights can be pretty terrifying, but I didn’t actually notice we were moving until we were about 20 feet above the ground! 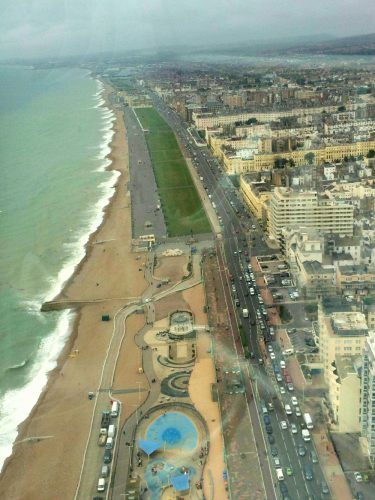 The movement is so smooth and gradual, it meant the whole city of Brighton spread out before us in a totally breathtaking way. The pod is so large, there is plenty of room to see every single angle of the spectacular views below. During the trip we saw the gorgeous English coastline in all its glory. 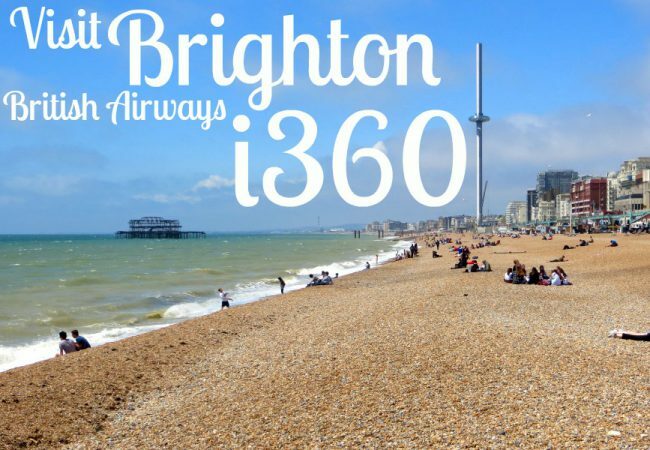 If you want to take a day trip to Brighton and venture up the i360, find our full range of products here. 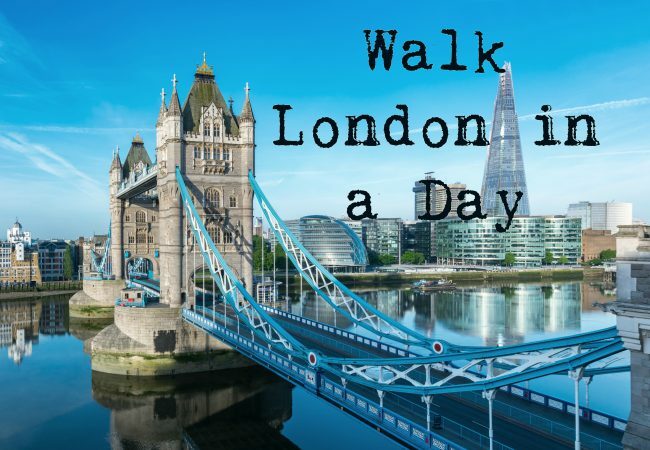 When was the last time you went to Brighton? 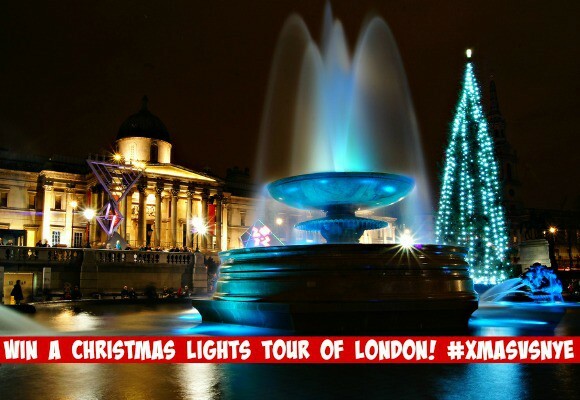 Images from Golden Tours’ Caroline and Hitesh and from Simon via Flickr.